The lead up to Gallipoli. The tense political climate at the beginning of the twentieth century split Europe into two blocs: One Alliance between Germany and Austria-Hungary, and another, called the 'Triple Entente' was Britain, France and Russia. When war seemed imminent the Ottoman Empire (Turkey) attempted to ally herself with the 'Entente'. On receiving a negative response to this she found herself obliged to join the Alliance of Germany and Austria-Hungary. A treaty was signed on 2nd August 1914. This has been seen as a failure of British diplomacy. However, the Ottoman Empire was not ready for war so it was decided to keep the treaty with Germany secret and adopt a stance of neutrality. The Ottoman Empire had the Dardanelles and the Bosporas. These straits between the Black Sea and the Mediterranean have been militarily strategic historically and no less so now for they represented for Britain and France a warm water route to their ally Russia. Russia needed war materials, Britain needed Russian wheat and there were 120 Allied merchant vessels in the Black sea. First Lord of the Admiralty, Winston Churchill and his colleagues in the war cabinet were acutely aware of all this as also were the Germans who needed greatly to change the direction of the war. If the Ottoman Empire entered the war, Germany's load would be decreased. So Germany decided to take some measures. Two German Warships then in the Mediterranean under the command of Rear Admiral Wilhelm Souchon, anchored at the entrance to the Canakkale Straits on the 10th August 1914. After much discussion the 'Goeben' and the ' Breslau' were accepted by the Ottoman Empire and an announcement made that they had been 'purchased' from Germany. Lord Fisher, Churchill's First Sea Lord entered the navy in 1854. He was responsible for instituting the developmental work that perfected the torpedo, the building of the first modern all-big-gun battleship, the Dreadnought, encouraged the development of submarines and supervised the conversion of the navy from coal-fired to oil-fired steam power. 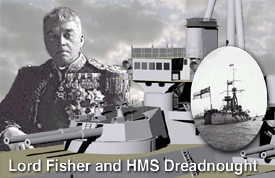 His reforms proved crucial to Britain's wartime naval supremacy. 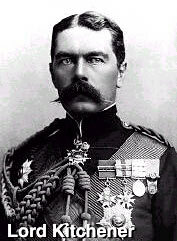 He opposed the Dardanelles expedition. On arrival in the straits, Rear Admiral Souchon lost no time in inspecting the Turkish 'fortresses'. He found poorly trained Turkish gunners with out-of-date equipment (old guns of different calibre and type, with poor range finding, fire observation and control). He requested additional support, and approximately four hundred naval artillerymen and mine warfare experts under the command of Vice Admiral Guido von Usedom were dispatched to Turkey. These men were integrated into the Turkish service, (with the concurrence of Kaiser Wilhem II ) to maintain the appearance of Turkish neutrality. Vice Admiral Usedom reported that there was not adequate large calibre ammunition to meet more than one major assault so he expanded the Turkish Mining effort creating a minefield of 343 mines in ten lines and spaced at regular intervals over a ten thousand yard approach to the narrowest part of the Dardanelles. These mines were defended by the fixed guns of the intermediate forts and by mobile battery. 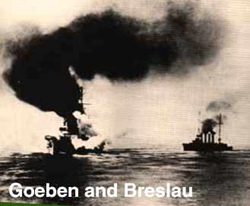 After the announcement of the 'purchase' the name of the 'Goeben' was changed to "Yavuz' and the 'Breslau' became 'Midilli'. Uniforms of the soldiers were changed. 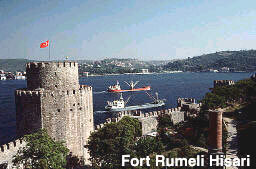 The two ships sailed on to Istanbul carrying the flag of the Ottoman Empire. During this time British and French ships were waiting in front of the straits for the two German Warships to emerge. On the orders of the Turkish General Enver, leader of the political party 'Ittihat ve Terakki' ( "Union and Progress" ) concerned with the military affairs of the Ottoman Empire, these ships then sailed on to Russia. General Enver was under considerable German pressure. On 29th October 1914, the warships attacked the Russian Harbours of Odesa, Navroski and Sebastopol. Russia declared war immediately on the Ottoman Empire. Four days later Britain and France declared war and then on Nov 3rd 1914 shelled the guns at the entrance to the strait. (Sebdulbahir). Finally the Ottoman empire abandoned its stance of neutrality and replied with their declaration of war. After the post WW1 Allied carve up of the Ottoman empire it was General Enver who was blamed for initiating its demise. On the 3rd January 1915, Winston Churchill asked Admiral Sir Sackville Carden, commander of the combined British and French battle squadron in the Mediterranean, "Do you consider the forcing of the Straits by ships alone a practical operation?' He added " Importance of result would justify severe loss!" Kitchener already had this view as did Prime Minister Herbert Asquith. So the plan which had been around since 1904 but both military and naval opinion was against it was accepted to force the straits by destroying the Turkish defences. The Australians role in this, by reason of the fact that they were untried troops, was to Garrison the forts as they were captured. Mobilisation began. Troops were gathered in preparation on the Greek Island of Lemnos. Turkish reconnaissance planes observed this daily so the Turks were very much aware of the numbers and strength of the forces gathering. Long range operations commenced on 19th February but were less than effective succeeding only in silencing the outer forts. Bad weather caused other delays and on the 9th March Admiral Carden reported to Churchill that he would concentrate on clearing the mines. Long range operations could not knock out the inner- forts. The mine-sweeping operations at night, manned by civilians were less than successful. This led Admiral Carden to plan a daylight attack to silence the intermediate and inner forts and permit the minelines to be swept. 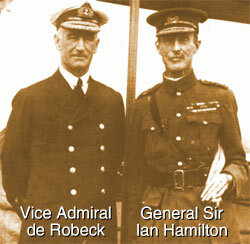 The order was given on 17th March by second in command, Admiral Sir John de Robeck. 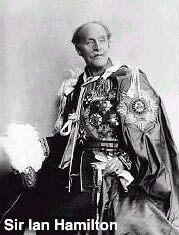 Admiral Carden had been relieved due to ill-health. 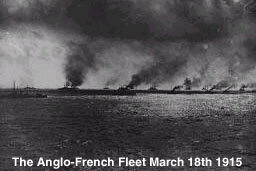 On March 18th,1915 the Allied fleet made its greatest attack at the Dardanelles which proved disastrous to the Allies. The outcome was the sinking of the Bouvet, the Ocean, and the Irresistible and the serious crippling of four other vessels. The Turkish people remember this day as a great national victory, when the Allied warships were turned back by the bravery and steadfastness of the Turkish gunners of the Dardanelles forts. 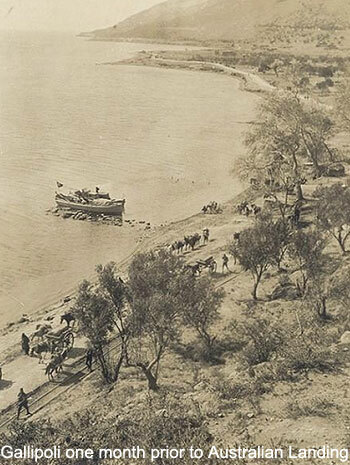 Here below is Gallipoli on that day, a month prior to the Australian landing. 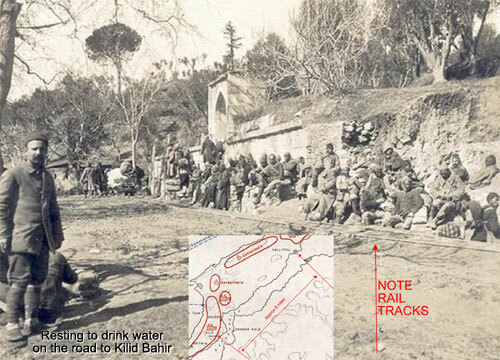 Please note the Railway tracks..
About 6 miles along the coast from Gallipoli is Kilid Bahir. Obviously, the rail tracks continued along the coast. These photos are by courtesy of Evren Isikozlu from Istanbul and perhaps have not been seen before in Australia. March 18th 1915. The operation began at 11.30. The battleships silenced the forts and at approximately 1600 hours the trawlers moved forward to begin sweeping- only to withdraw again under fire from the mobile batteries. By the end of the afternoon the British and French had lost six of their eighteen battleships. 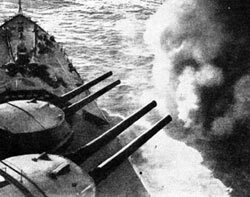 Admiral de Robeck's after action report stated that he intended to renew the attack within three or four days, after a re-organisation of the minesweeping force which was now to be manned by volunteers from the battleships survivors. Two more battleships were dispatched to de Robeck with instructions: "It appears important not to let the forts be repaired or to encourage the enemy by an apparent suspension of the operation'. On 23 March Admiral de Robeck completely reversed his plan of action. After a conference with the senior Army officer on the scene (General Sir Ian Hamilton), de Robeck proposed a joint operation in which the Army would secure the forts before the Navy tried to force a passage. Sir Ian Hamilton later commanded the Gallipoli campaign from on board HMS Queen Elizabeth. His role throughout the campaign was brought under scrutiny. Military censorship prevented the true story being told but a young Australian journalist, Keith Murdoch smuggled the story about the scale of the Dardanelles disaster back to the Australian Prime Minister who sent it on to the British Prime Minister David Lloyd George, who was no friend of the British military establishment. It led directly to the dismissal of Sir Ian Hamilton who never again was to hold a senior military position. After Admiral de Robeck's reversal, Lord Fisher then changed his own position, refusing to challenge the judgment of the on-scene commander. 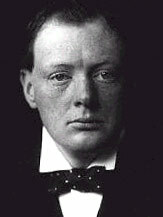 Even with the support of Prime Minister Asquith and Lord Kitchener, Churchill could not get the cabinet to order de Robeck to renew the attack immediately. 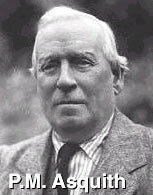 Lord Fisher resigned from the Admiralty. 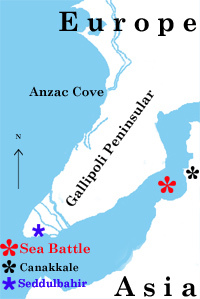 The decision to conduct a ground campaign led to the disaster known as Gallipoli. 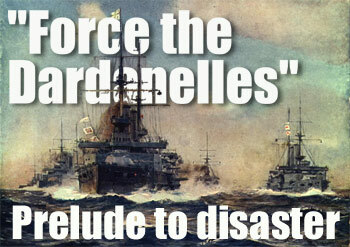 "For nearly six weeks, nothing of importance occurred at the Dardanelles. In spite of the dramatic warning given by the brief bombardment, the work of repairing the forts and garrisoning the area was not carried for ward energetically. On December 13th Mr. Engert, the American vice- consul at Chanak, was enjoying the warm morning in a small rowing boat in the Straits when the old battleship Messudieh, anchored south of Chanak in Sari Sighlar Bay, was suddenly rent with a gigantic explosion and sank in under seven minutes. 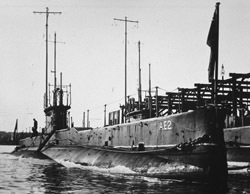 The tiny British submarine BII, only 143 feet long and with a maximum submerged speed of 6.5 knots, manned by two officers and eleven ratings, eventually limped out of the Straits to the open sea, safety, and the first submarine V.C. for her commander, Lt. Holbrook. RN." Source: Robert Rhodes James: "Gallipoli"
Thought to be occupied by the Wiradjuri people prior to European settlement theTown of Holbrook, on the South West Slopes NSW, has had many names. Hume and Hovell (1824) called it Friday Mount and Camden Forest. In 1836 it was known as Therry's or Billabong. The first district leases were granted in 1836-37 and the first resident was German-born Johann Pabst who had arrived in Australia in 1825 as a sheep expert working for the Australian Agricultural Company. He settled here with his family in 1838. The emergent settlement was known as 'The Germans' and a town reserve was declared in 1848. In 1876 the settlement was officially gazetted as 'Germanton'. In 1914 the locals didn't like the name particularly considering the war in Europe and so the name was changed to Holbrook after Submarine Commander Norman Douglas Holbrook. Today a scale Model of the BII stands proudly in the town as tribute to Commander Holbrook's skill and daring which a German naval officer ruefully admitted to the enthralled Mr. Engert was, "a mighty clever piece of work". 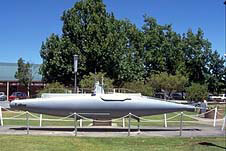 Also nearby in the same park is a Mark VIII torpedo, commemorating the actions in World War 1 of Lieutenant H. Stoker, D.S.O., RX, and the crew of the RAN Submarine HMAS AE2. this submarine operated in the Marmara until April 30th 1915, when she was sunk, after a two hours fight, by a Turkish torpedo-boat. A new book, "Stoker's Submarine", by Fred and Elizabeth Brenchley, is being launched on April 19, 2001 at Garden Island with Opposition Leader Kim Beazley doing the honours. The AE2's penetration into the Sea of Marmara played a highly significant and perhaps pivotal role in the outcome of the Gallipoli campaign. Her Commanding Officer Lieutenant Commander Harry Stoker, had written orders to penetrate the Dardanelles. He was to '...take measures necessary to block enemy traffic' and, if he succeeded in reaching Chanak (opposite Gallipoli), he should try to sink any mine-dropping vessels and 'run amok generally'. He did just that and torpedoed and sunk a small cruiser. "Your news is indeed serious. But there is nothing for it but to dig yourselves right in and stick it out. It would take at least two days to re-embark you as Admiral Thursby will explain to you. 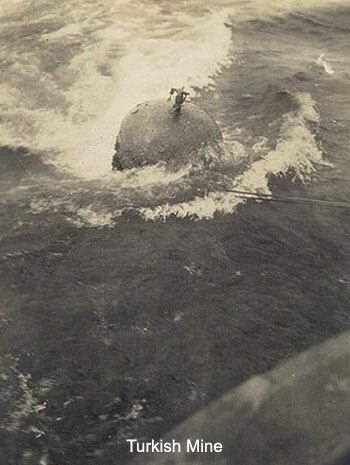 Meanwhile, the Australian submarine AE2 has got up through the Narrows and has torpedoed a gun-boat at Chunuk (sic). Hunter-Weston despite his heavy losses will be advancing tomorrow which should divert pressure from you. Make a personal appeal to your men and Godley's to make a supreme effort to hold their ground. lan Hamilton. P.S. You have got through the difficult business, now you have only to dig, dig, dig, until you are safe. lan H."
The AE2 now lies at 72 metres in the Sea of Marmara. 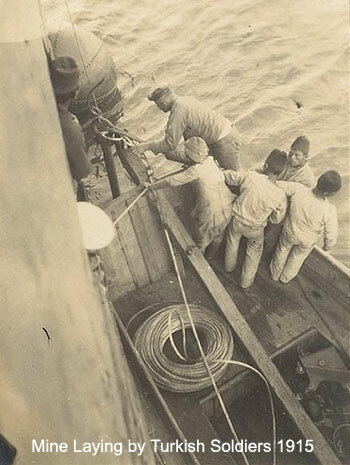 Efforts to raise the submarine are a collaborative effort between Turkish individuals supervised by Sel�uk Kolay, of the Rahmi M. Ko� Museum, who discovered the wreck and our Australian team led by Dr.Mark Spencer considered the Australian authority on deep shipwreck photography.